How we can combine our high-fat, ketogenic eating style with an exercise protocol that helps us build muscle and burn fat. 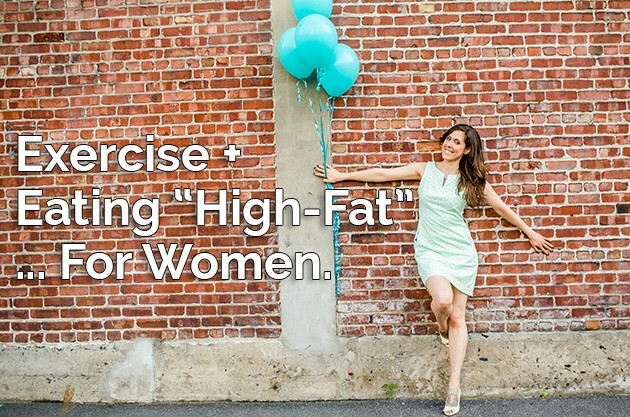 The exercises that encourage women to mobilize fat stores, what to eat before and after a workout when you’re fat-fueled, the best time to workout, hormone regulation, and more. Many of you know how much I love the book, No Fail Fat Burning For Women. One of the women behind the book and blog, Michelle Burleson, joined me on YouTube this week for a super candid conversation about how women can leverage the power of a high-fat, ketogenic eating style to gain muscle. We’re not talking about transforming into a beefcake here. We’re focusing on building muscle and regulating our hormones by working with our bodies, instead of against them. We’re aimed at leveraging what your body is doing and making it work for you. And (gasp!) we talk about the fact that you don’t have to be in “ketosis” in order to burn body fat as energy and how tracking calories can hold you back. If you’re interested in a high-fat eating style, or the Bulletproof Diet but are confused because all of the resource out there are for men… and you’re a woman, this one’s for you. What muscle-building strategies have you followed since becoming fat-adapted?